EDINBURG — The UTRGV baseball team fell to Texas A&M-Corpus Christi 6-5 in the South Texas Showdown on Tuesday at Chapman Field. Corpus Christi (13-8) extends its lead over UTRGV (13-9) to 25.5 to 20.5 in the showdown standings, clinching the championship with only four points still available at a track & field meet on April 7 at the UTRGV Soccer and Track & Field Complex. Junior Conrad McMahon led UTRGV offensively, going 3 for 4 with a run scored. Sophomores Elijah Alexander and Tyler Torres each finished with two hits, including a double and two runs scored for Alexander. Torres also walked. UTRGV trailed 5-3 after six innings. In the seventh, senior Austin Siener singled to bring in Alexander and make the score 5-4. In the eighth, senior Cris Castillo hit into a fielder’s choice to score Torres and tie the game at 5. In the ninth, UTRGV junior pitcher Ben Butler (1-2) plunked leadoff hitter Jackson Owens, who advanced to third as Corpus Christi loaded the bases with one out. Andriud Martinez hit a weak dribbler toward second, just far enough between first and the mound that no one could field the ball before Owens scored the winning run. That made a winner of Cole Carter (4-1), who pitched 1 2/3 innings of scoreless relief, striking out three. UTRGV took the lead three batters into the game, as Alexander doubled and scored on an RBI single by senior Ivan Estrella. In the second, UTRGV put runners at second and third with one out. Freshman Zach Parks drove in a run with a groundout and an error scored another run to put UTRGV up 3-0. Corpus Christi got two runs back on a two-out double by Itchy Burts in the fourth. Then, in the fifth, Owens hit a sacrifice fly and Luke Marbach came up with an RBI single to give Corpus Christi a 4-3 lead. Corpus Christi added a run in the sixth on a Harrison Dinicola sacrifice fly. 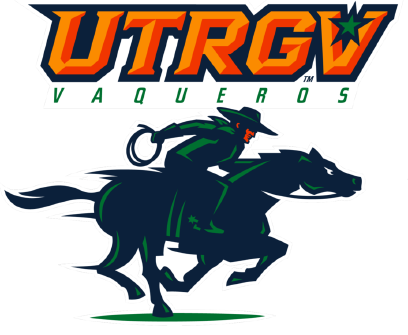 UTRGV opens Western Athletic Conference play at 7 p.m. Friday against CSU Bakersfield at UTRGV Baseball Stadium. The first 250 fans in attendance will receive car magnets. Gates open at 6.